Find-Me printingFind-Me printing allows users to print to a single global print queue without selecting a printer, and then release the print job at any printer (via a Release Station). provides a great experience for users, as they can print to a single print queueA print queue displays information about documents that are waiting to be printed, such as the printing status, document owner, and number of pages to print. 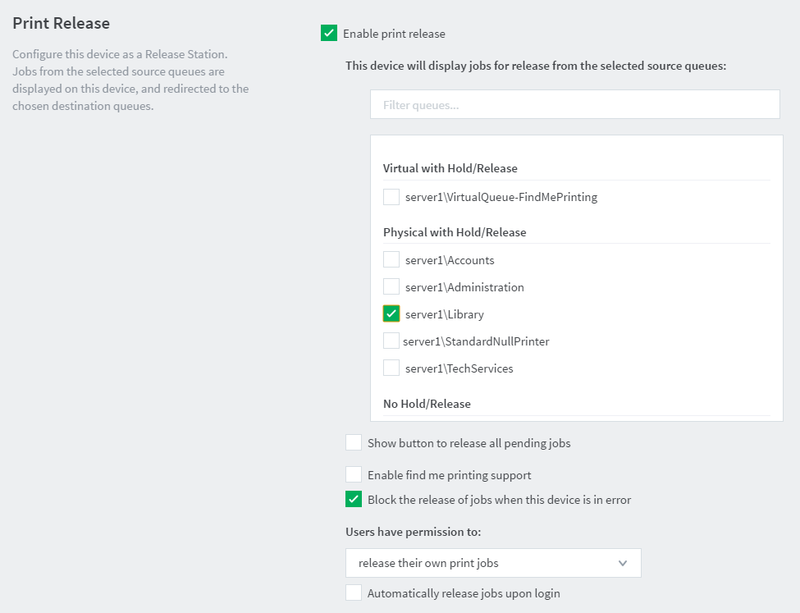 You can use the print queue to view, pause, resume, restart, and cancel print jobs., and have the flexibility to walk up to any device to release their print job. Additionally, PaperCut MF checks the current status of the device, and warns the user if the print job won’t be able to print, giving them the choice to either fix the issue, for example a paper jam, or to release from another device. 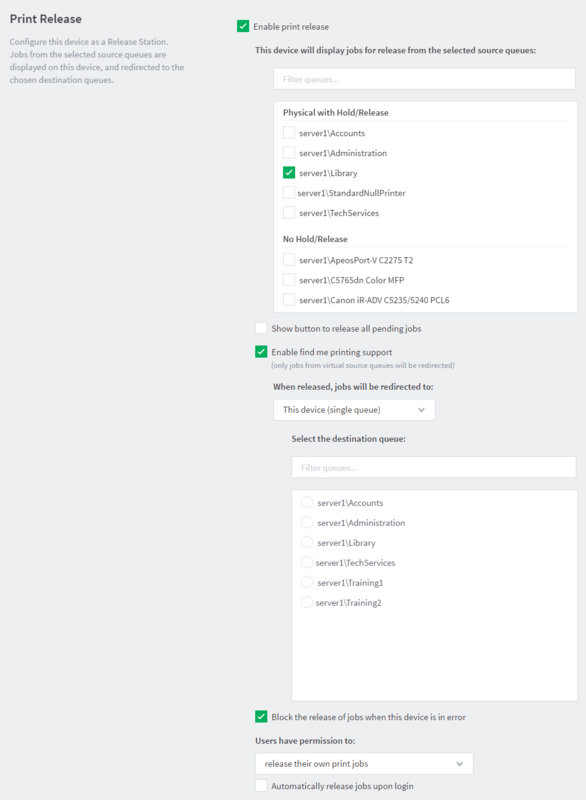 Create a new print queue on the print serverA print server is a system responsible for hosting print queues and sharing printer resources to desktops. Users submit print jobs to a print server rather then directly to the printer itself. A print server can be a dedicated server but on many networks this server also performs other tasks, such as file serving called Find-Me. You will configure this printer as a single global virtual queue that users will print to. It is called virtual as this print queue does not point to a physical printer and has no IP address. In Enable find me printing support > When released, jobs will be redirected to, select This device (single queue). This specifies that when a job is released on this device, it will print only on this device and will not be redirected to any other device. In the list of destination queues, select the physical print queue print queue associated with the device's printer function.